This year Children’s Design Week moves over to Annantalo. The house will be filled with the Design Exploration installation and versatile workshops. The Little Market we know from Children’s Weekends becomes part of the popular Design Market. To celebrate 15 years of operations, Helsinki Design Week is renewing its Children’s Weekend concept and centralizing all programme for kids to the Annantalo house in the centre of Helsinki. 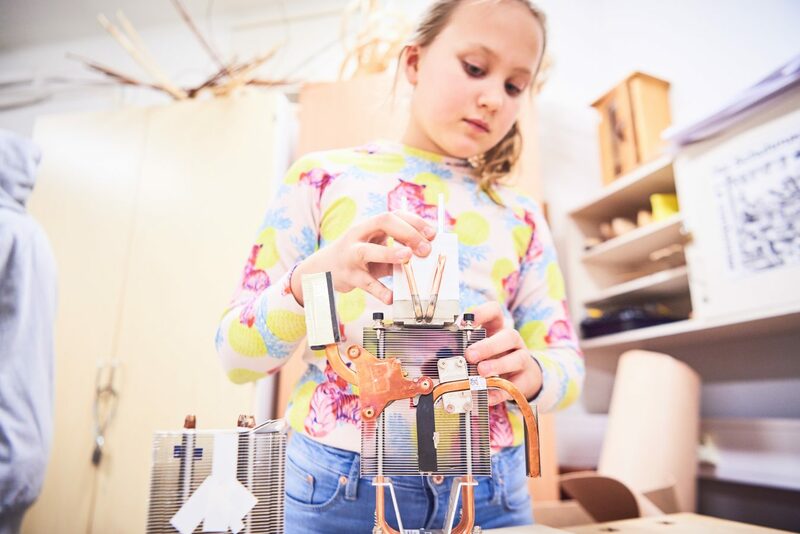 During Children’s Design Week, Annantalo will be full of design workshops and installations. On work days, the programme is targeted to schools, and during weekends to the general public. Helsinki Design Week’s theme this year is Learning Climate. During Children’s Design Week, we’ll focus on environment, climate and future. This summer, the Annantalo yard will host a community garden open to all Helsinki people and cared for collectively. “The Community Garden theme is an excellent visual base for HDW’s 2019 theme, Learning Climate,” says Anna Puhakka, cultural producer for A•lava at Annantalo. The garden will consist of a potato patch, planter boxes, pasture species and a beehive. It will also provide commodity plants and allow the citizens, particularly kids and youth, to see and experience how food grows from a seed to ends up on our tables. The community garden will function as an introduction to Children’s Design Week in September, and during the month, the garden will be explored through various workshops. “Annantalo’s cooperation with Children’s Design Week is an excellent opportunity to develop and realize our mission to promote children and youth’s equal opportunities to create and experience art and culture in Helsinki,” says Puhakka. What is the result when we combine design methods and problem-solving by design with kids’ endless imagination? How can small steps slow down climate change and impact housing or traffic, for example? In addition to community garden workshops, Etana Editions together with SuoMu, the Finnish Association of Design Learning, and Helsinki Design Week provide a design exploration inside Annantalo. “This year, the objective of Children’s Design Week is to create an inspiring learning climate that will allow city kids learn about natural environment, encourage them to engage in problem-solving, give them a voice and support their growth into critical opinionated adults,” says Children’s Design Week producer Helena Fernström. 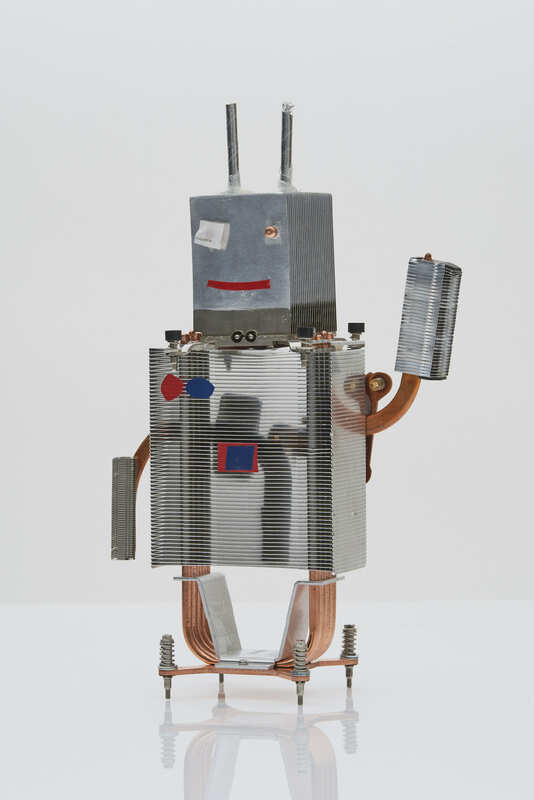 The objects in the exhibition are robots and machines made by children participating in SuoMu’s Design School. Photo: Olga Poppius. The engaging installation is to combine different design exhibitions and tasks by various producers. It consists of exhibitions and task stations on the second floor of Annantalo and culminates in Suomu’s exhibition and workshop on “machines that make the world better”. Until September, the machines are also on display at Milan Triennale 2019 as part of the Finland exhibition curated by Aalto University. HDW Children’s Design Week design exploration themes take a peek at the creative learning manual to be published in the autumn “What, Why – Design?”. The book containing information, tasks and ideas is produced in cooperation by Etana Editions’ Reka Kiraly and Jenni Erkintalo as well as Suomu’s Viivi Lehtonen and Mari Savio. The Little Market we know from Children’s Weekends will become part of the Design Market that is organized from 7 to 8 September 2019. Little Market is to present design brands and autumn collections for kids. Apply to become a vendor at Little Market here. You can participate in Children’s Design Week by organizing your own event. The events selected through our open call for events will be part of the Helsinki Design Week official programme, and all events will gain visibility through Helsinki Design Week marketing communications. Read more and apply through open call.